There were two important reports on the U.S. economy released this morning. First, data from the Federal Reserve Board of Governors showed that industrial activity in America rebounded in March, as total production jumped by 0.5 percent. That was better than the 0.4 percent gain economists had expected and the largest monthly increase since December, although due largely to a record spike in utilities output. 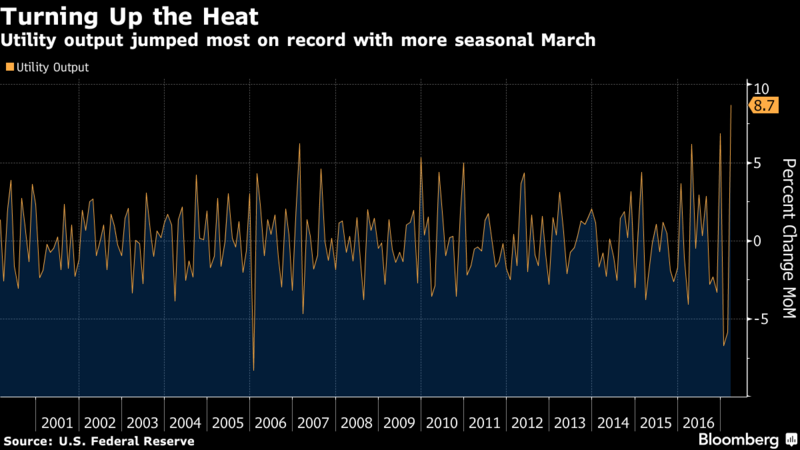 More importantly, overall U.S. industrial activity on a year-over-year basis rose by 1.5 percent in March, the fastest pace of annual growth recorded in roughly two years. 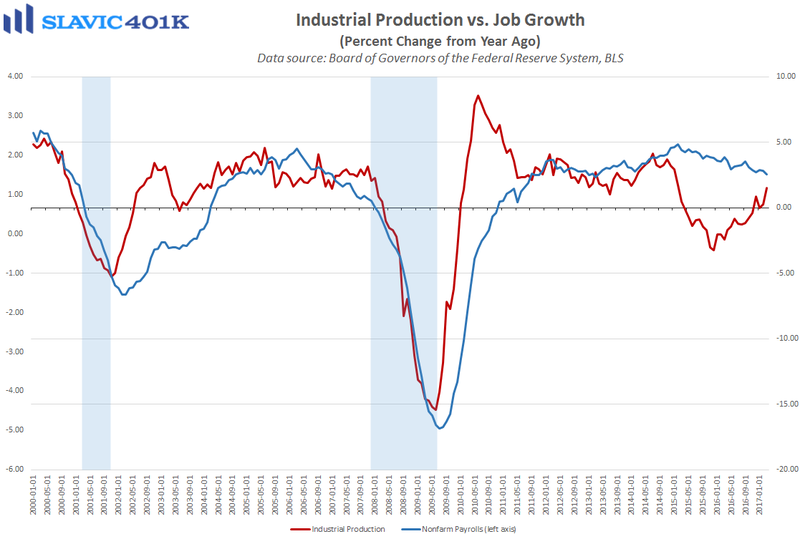 However, manufacturing, which makes up roughly 75 percent of all industrial production, plunged by 0.4 percent in March, the biggest monthly decline since last August. 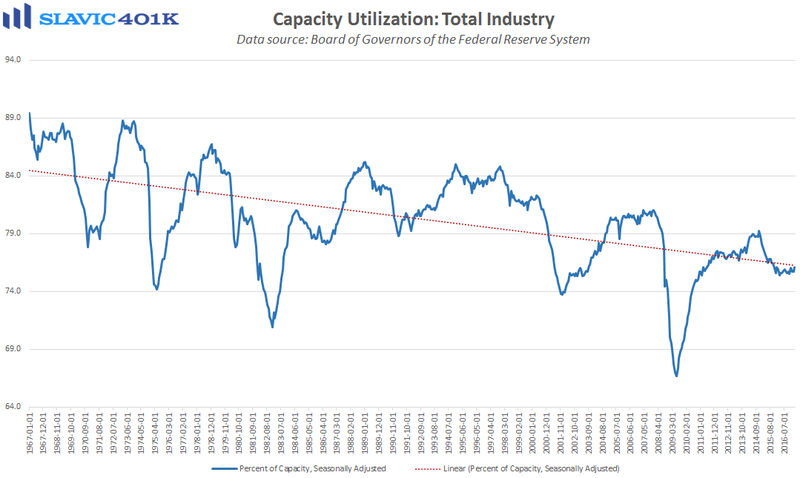 Capacity utilization, sometimes used as a leading indicator of inflation and potential output, jumped to 76.1 percent last month, the best reading in more than a year. 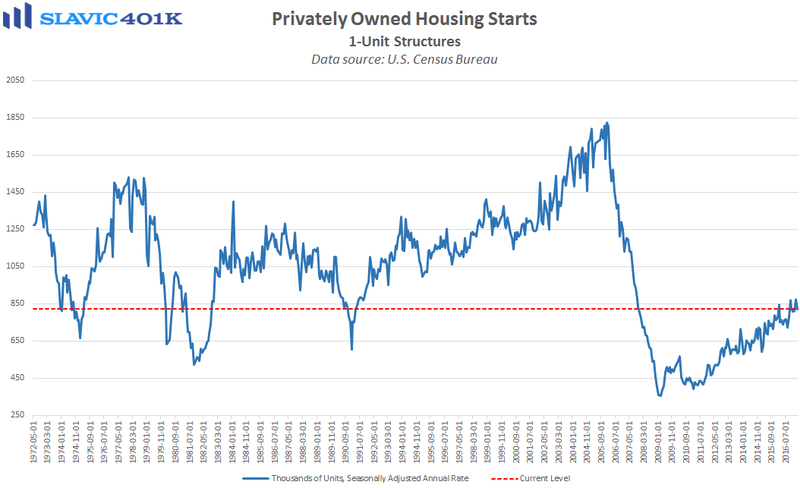 Elsewhere, a report from the U.S. Census Bureau showed that privately-owned housing starts in March grew at a seasonally adjusted annual rate (SAAR) of 1.215 million units. That was a 6.8 percent decrease from February’s upward-revised print, the weakest reading in four months, and worse than economists had anticipated. 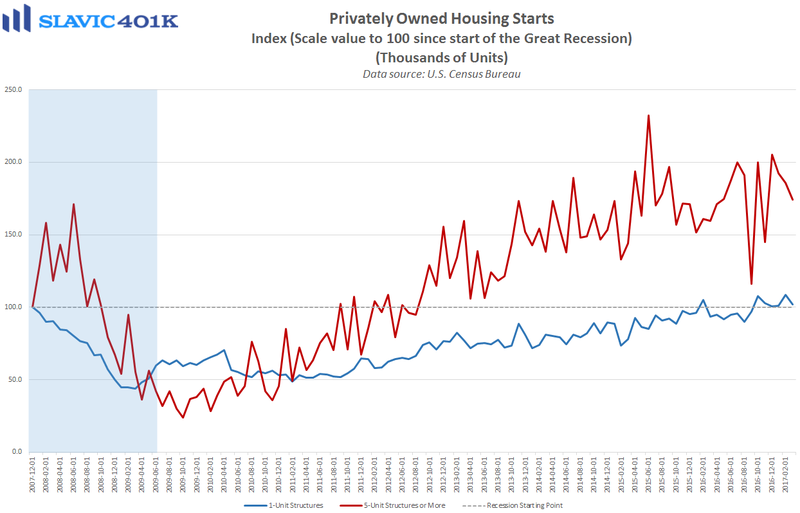 Starts of multi-family units (rentals) fell by 6.1 percent in March, the second monthly decline in a row, and single-family housing starts contracted by 6.2 percent from the cycle high hit in February. 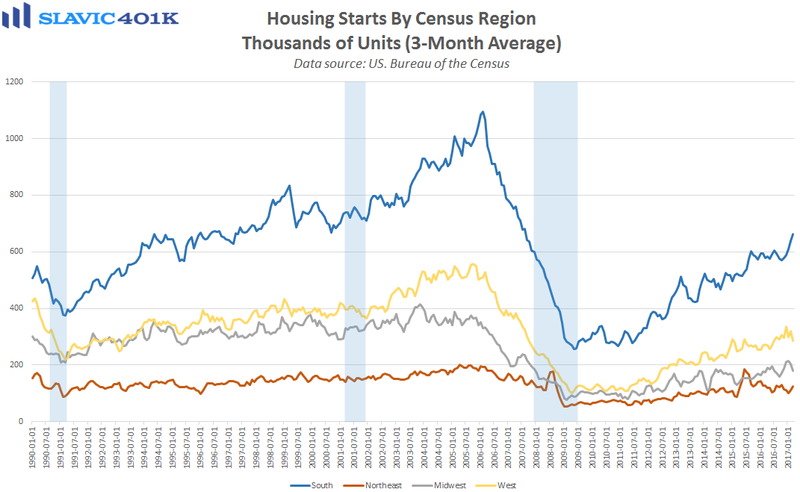 Regionally, housing starts last month increased in the Northeast (+12.9%) but decreased in the South (-2.9%), the West (-16.0%), and the Midwest (-16.2%). Total building permits, a popular gauge of future construction activity, rose 3.6 percent in March, better than expected but due mainly to an 18.3 percent jump in rental authorizations, whereas single-family permits fell by 1.1 percent.